Throughout her professional career Dr. Terri Pease, has helped adults and children who have experienced trauma, sexual assault or domestic violence. 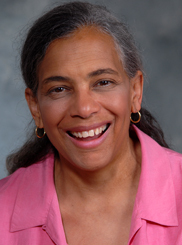 A gifted teacher and public speaker, Dr. Pease was educated at Reed College and Cornell University. For ten years she was a professor of psychology and counseling. In her current work she writes trauma training programs for people who work in public mental health agencies, state psychiatric hospitals, and domestic violence, consumer advocacy, and disability rights programs. She has devoted much of her work to addressing trauma and abuse of people with disabilities. She is currently at work on a book focusing on attitudes about trauma in communities of color, and is an advisor to Sankofa Way.